Cats need to scratch things, it’s in their nature. But human nature dictates that the couch isn’t for scratching, it’s for sitting. Thankfully, a few good products will keep those claws away from the couch. 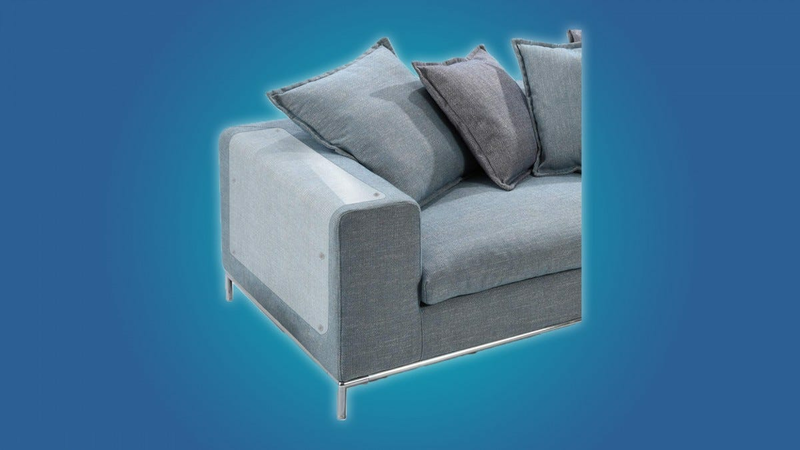 Your sofa is actually a terrible scratching surface. Not just for you, but for your cat. See, sofas are soft and flimsy, and cats prefer something that they can really dig their claws into. So, the best way to keep your cat from ruining your furniture is a solid scratching surface, like a sisal pole or a hunk of corrugated cardboard. 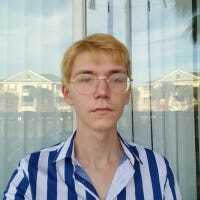 Now, I know what you’re thinking. Mr Paws already has a $100 floor-to-ceiling scratching post, he just refuses to use it. There’s a good chance that your cat simply hasn’t realized that the expensive scratching pole is a better scratching surface than the couch. Mr Paws needs a little… convincing. Lucky for you, there are plenty of training products than can attract your cat to a scratch-appropriate surface, and products that can divert your cat’s attention away from the furniture. There are a lot of scratching and training products on the market, and a lot of them are overpriced or ineffective. That’s why we’ve taken the time to find the best scratching and training products that money can buy. If you want your cat to stop scratching at your couch, then you’ll need to find a product that appeals to its scratching instinct. A good, strong scratching surface will always look more appealing to a cat than your musky sofa. 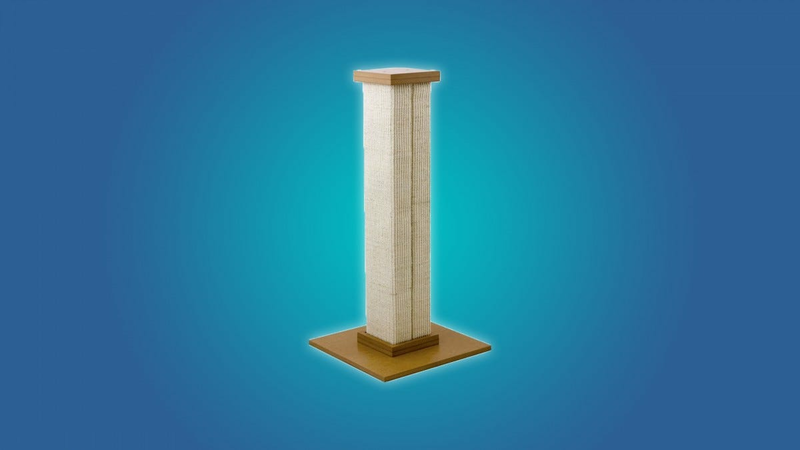 Thing is, scratching posts can be kind of expensive, and they tend to fall apart quickly. Thankfully, we’ve had some personal experience with a great, inexpensive scratching post. 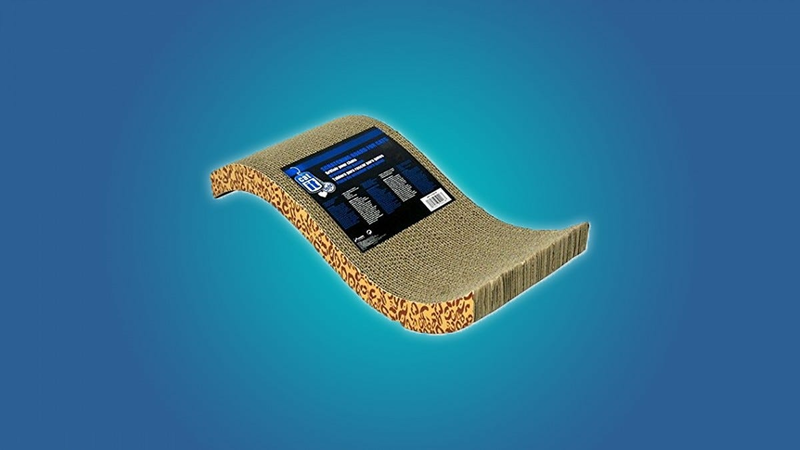 The SmartCat’s Ultimate Scratching Post is a 32″ tall, it’s lined with a long-lasting sisal mat that cats love to dig into and, best yet, it’s very sturdy. Cats hate flimsy cat trees so the more stable-like-a-real-tree the scratching post is, the better. Pair this thing with some catnip, and your kitty friends will completely forget about the dusty old couch. If your cat likes to scratch furniture throughout the house, then you need to offer multiple scratching solutions. One scratching post in the living room won’t stop your cat from scratching the side of your mattress. Why not grab a couple of Catit cardboard scratchers and call it a day? If your kitty is more into scratching the arms and top of your couch and less into the sides, a horizontal scratcher might be in order. These cardboard scratchers may be cheap, but they’re cat magnets. Cats love to pin down a hunk of corrugated cardboard and go to town, especially if you sprinkle some catnip in those holes. By the way, the Catit cardboard scratcher comes with a bag of catnip, so you can turn it into the ultimate cat scratcher right out of the box. Even if you give your cats a great new scratching surface, there’s a chance that they’ll keep going for the couch. Hey, that’s what they’re used to. You could pick up your cats and manually drag their paws against that new scratching post, but there’s got to be a better way. Well, you could divert kitty’s attention away from the couch with some IN HAND furniture scratch guards. These plastic sheets pin to the sides of your furniture, and they’re a little too sleek for kitty’s tastes. Just bear in mind that these guards need to be pinned to your furniture, so they could leave some marks. You’ve probably seen Feliway spray and other cat hormone products at the pet store. These hormone solutions are marketed for every cat problem, from mattress-peeing to crate anxiety. Of course, we’re interested in Feliway’s anti-scratching powers. Feliway is a spray solution that’s infused with some cat face hormone (not the other end of the cat). If you spray Feliway on your furniture, then your furniture will smell like a cat’s face. Now, if your cat has an ounce of respect for its kin, then it’ll avoid scratching another cat’s face, right? Well, that’s the idea and the range of pheromone products for Feliway are good for everything from deterring scratching to calming anxious cats. You still need to give your cat something to scratch. After all, scratching is in their nature. 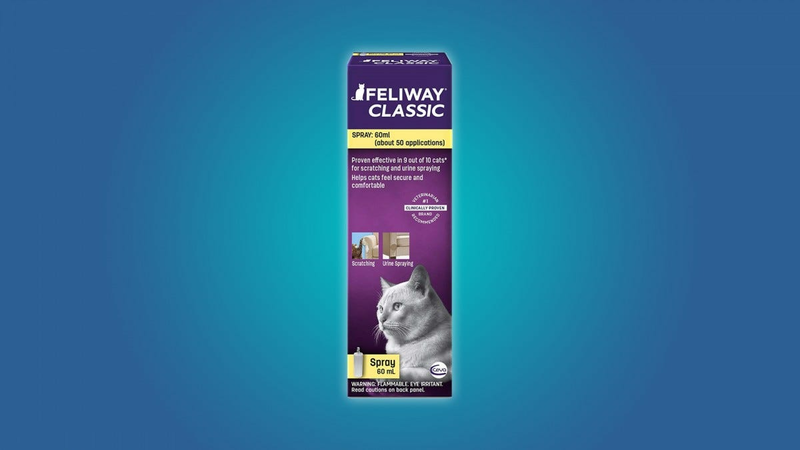 Feliway is best paired with a good scratching product, like the Ultimate Scratching Post or the Catit cardboard scratcher. Some cats will happily stop scratching the sofa in favor of a scratching post, but other cats have a bit of an adjustment period. 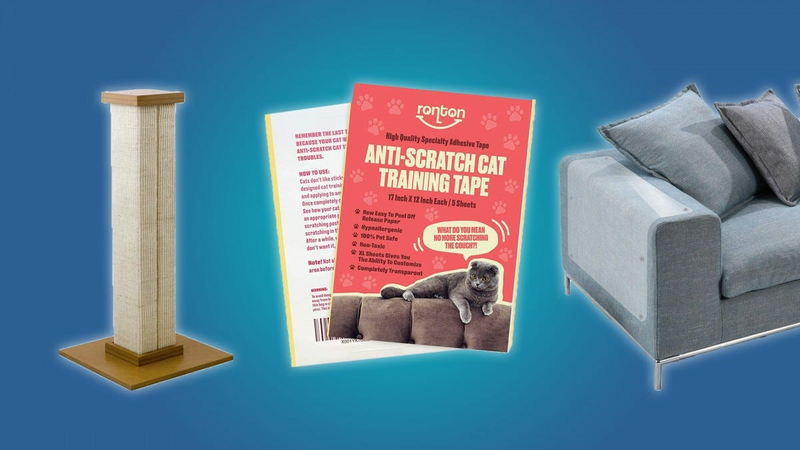 If your cat seems to be ignoring the new scratching pole that you just bought, then you should apply some Ronton anti-scratch training tape to your couch. Your cat will lose interest in the couch faster than you could ever imagine. Like humans, cats hate sticky surfaces. That’s why this training tape makes your couch so unappealing to cats. It’s basically an extra tacky double-sided tape. After a few failed attempts of scratching the couch, your cat will realize that the scratching pole or corrugated cardboard is a much better option. 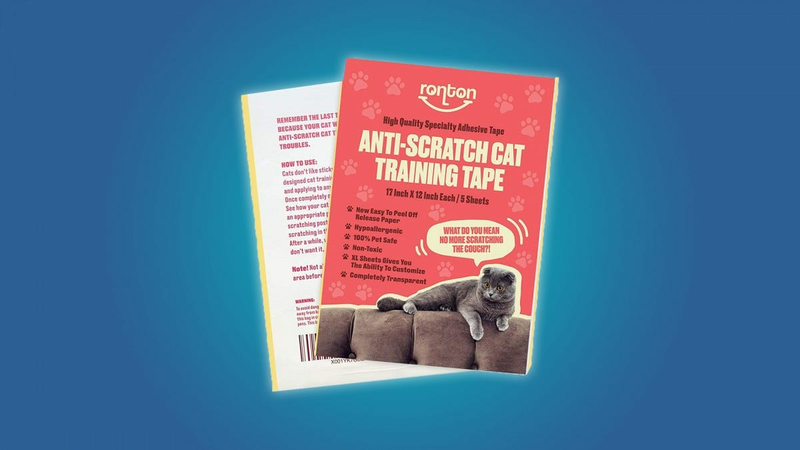 Once your cat has lost interest in the couch, you can remove the anti-scratch training tape. Keep in mind that there are a ton of applications for this training tape, it’s great for keeping your cat off of the kitchen counters, or for dissuading it from violently clawing up the side of the bed. Catnip is an incredibly useful tool in your anti-couch-scratching arsenal. Throw some catnip on a cardboard scratcher or a scratching post, and your cat will completely forget about the couch. Thing is, catnip can be messy, and the famous herb seems to go stale a lot quicker than it should. Thankfully, you can use a catnip spray to reap the benefits of catnip hassle-free. There are a lot of these catnip sprays on the market, but Petlinks Pure Bliss organic catnip spray is the best balance of quality and affordability. Just apply some of Petlink’s catnip spray to a scratch-appropriate surface, and your cat will happily leave the sofa alone.